There is a small gift shop at the Herschel Museum where you will find a range of cards and souvenirs, as well as a collection of books for sale (including the Museum Guide Book). The cover image is from a 1785 portrait of Sir William Herschel by Lemuel Francis Abbott. A pastel copy of the original picture (now in the National Portrait Gallery, London) is on view at the Museum. 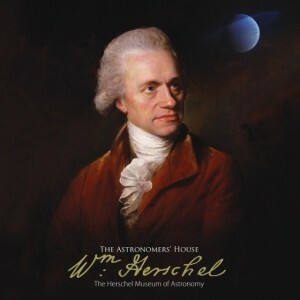 There is a lively interest in the music of William Herschel. While the Herschel Museum does not possess manuscripts of any of his works, we do stock a booklet on his music by Frank Brown (£3.50). We also stock The Pump Room Orchestra Bath: Three Centuries of Music and Social History by Robert and Nicola Hyman. As well as playing in the Pump Room Orchestra, William Herschel held several prominent musical posts in Bath, including Director of Concerts. ‘Amazing Astronomy’ (£1.50) – an illustrated family trail – is available to buy as a way of engaging younger visitors even more with the Museum and the stories of the famous Herschels, who once lived here.